Our picks of the movies opening in UK/ROI cinemas in February. February sees the final batch of awards contenders hit UK/ROI cinemas, the token February horror movie, another Marvel monolith and more flag-waving from Clint Eastwood. Filmed several times before (most notably by James Whale in 1930), RC Sheriff's play gets a fresh screen treatment from director Saul Dibb. Asa Butterfield, Sam Claflin and Paul Bettany are in the trenches in the drama set in the final days of WWI. 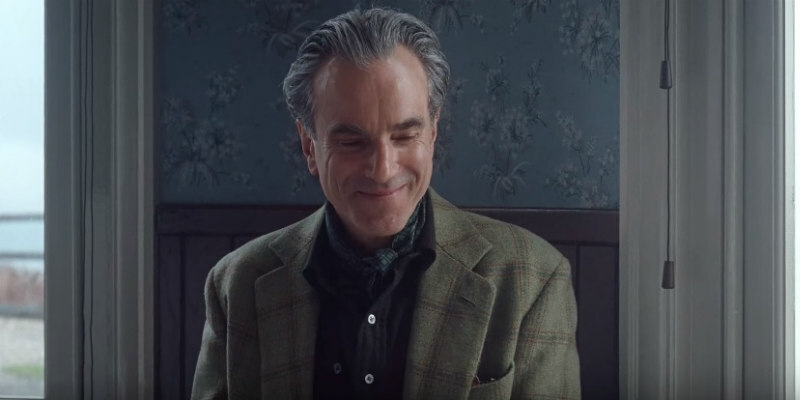 If we're to believe the reports that Paul Thomas Anderson's latest character study features Daniel Day Lewis's final performance, the actor is going out on a high. Set in the world of 1950s high fashion London, it's a stunning take on an unconventional relationship and an early contender for film of the year. Few genres have offered so many leading roles for aging stars as horror. Winchester stars Helen Mirren in a thriller based on the story of Sarah Winchester, heiress of the Winchester rifles fortune, who built an elaborate house in an attempt to fend off evil spirits. Acclaimed Russian filmmaker Andrey Zvyagintsev's latest concerns two separated parents forced to work together when their young son vanishes. As with his previous film, Leviathan, it's said to be a bleak but rewarding watch, a film heavily critical of modern Russian society. Following American Sniper and Sully, Clint Eastwood continues his recent trend of dramas centred on the exploits of American 'heroes'. You can debate whether sniper Chris Kyle or pilot Chesley Sullenberger deserve such a platitude, but the protagonists of The 15:17 to Paris (played here by their real life selves) certainly do, having put their lives on the line to foil a terrorist attack on the titular train in 2015. Creed's Ryan Coogler is the latest filmmaker to get sucked into the Marvel vacuum as he helms the first standalone movie for Chadwick Boseman's Black Panther, leader of the fictional African nation of Wakanda. Michael B Jordan, Lupita Nyong'o and Martin Freeman also star. We were somewhat unconvinced by Guillermo del Toro's latest fishy fantasy, but it's been warmly greeted by most critics. Sally Hawkins is a mute cleaner at a secret facility who falls for the charms of a Gillman (Doug Jones in a suit very much inspired by Creature from the Black Lagoon) held captive at her workplace. It may not stand up to recent female led coming of age movies like The Edge of Seventeen or The Diary of a Teenage Girl, but Greta Gerwig's directorial debut gets by largely thanks to the winning performances of a cast that includes Saoirse Ronan, Laurie Metcalf, Tracy Letts and a host of young actors in delightful supporting roles. Director Craig Gillespie presents a sympathetic take on the story of disgraced figure skater Tonya Harding. Margot Robbie is excellent in the lead role, but it's Alison Janney as Harding's mother and Paul Walter Hauser as her boyfriend's moronic friend who steal the show. Following 2017's The Levelling and God's Own Country, the trend for British rural dramas continues with The Selfish Giant director Clio Barnard's latest. Ruth Wilson stars as a woman who returns to her family's Yorkshire farm after her father's death, causing her to relive a childhood of abuse.